When you’re looking for a electrifying Gala performance, trust it to the Olivier Award-winning kids of School Of Rock – The Musical. 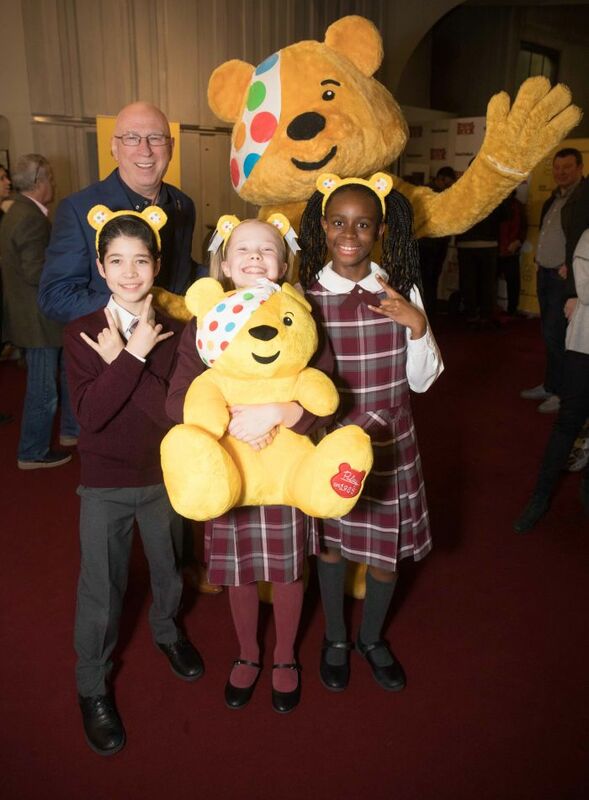 Last night at the New London Theatre (6 November 2017) Andrew Lloyd Webber’s storming musical hosted this year’s BBC Radio 2’s Children in Need Gala to a rapturous reception. 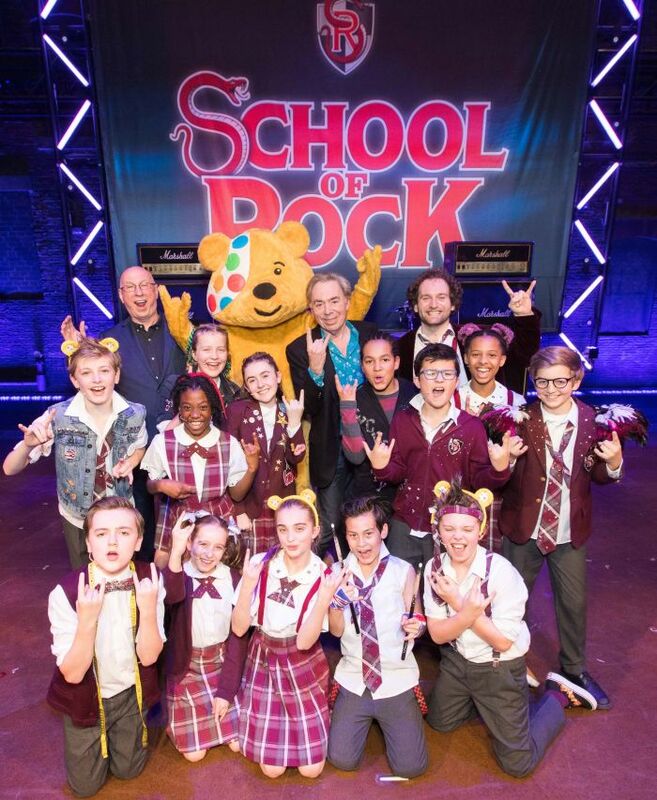 Hosted by Ken Bruce, ably assisted by the charity’s mascot Pudsey, and alongside the thirteen kids who make up Dewey’s band, Gary Trainor led the adult cast as wannabe rock star Dewey Finn, in a rip-roaring demonstration of the power of rock, all the while raising money for charity. 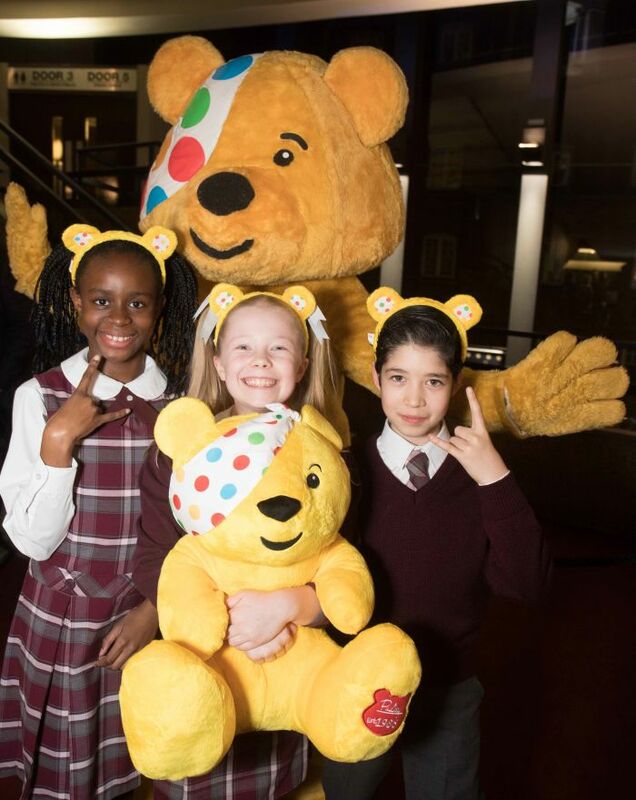 At least 50% of the proceeds from the Gala performance are to go to BBC Children in Need’s 2017 Appeal. The evening saw BBC Radio 2 presenters, VIPs and members of the public join forces to rock out with the cast and celebrate a truly memorable night. School Of Rock – The Musical currently stars Trainor, alongside Florence Andrews as Rosalie Mullins, Oliver Jackson as Ned Schneebly and Preeya Kalidas as Patty Di Marco. The show is currently booking at the New London Theatre until 13 January 2019, having recently announced yet another extension due to popular demand. Based on the smash hit 2003 film of the same title, School Of Rock – The Musical features music from the movie, as well as new music written by Andrew Lloyd Webber with lyrics by Glenn Slater and a book by Julian Fellowes, and tells the story of a down-on-his-luck wannabe rock star who poses as a substitute teacher, discovering his students’ hidden musical talents in doing so. It is one of four Lloyd Webber shows (The Phantom Of The Opera, Evita and Jesus Christ Superstar being the other three) to have played concurrently in the West End this year.